Welcome to Salero Tapas & Bodega, where the delicious aroma of paella sizzling in the open kitchen mixes with the catchy live tunes of Resident DJ David Saludes, to create a fun and unforgettable atmosphere perfect for a cosy dinner or a night out with friends. 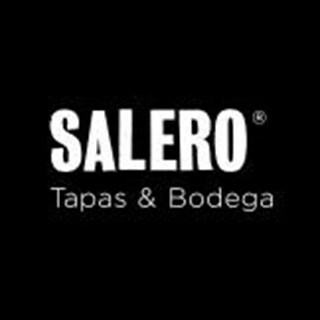 Taking its name from a popular Spanish expression meaning flair and grace, Salero Tapas & Bodega offers authentic food, drinks and a warm contemporary atmosphere, bringing the flair and grace of flamenco dancers, matadors, guitar melodies, and sunsets over Park Güell to Dubai. Located on the ground floor of Kempinski Hotel Mall of the Emirates. The paella was very good - just a shame that it took close to an hour to reach the table. A Diet Coke also costs 34 dirhams which is incredibly over priced for a soft drink and more expensive than the Burj Al Arab! Service was incredibly slow. The service was really such a let down, and the manager came across as rather conceited which was not pleasant and made us not want to give verbal feedback - especially seeing the way he had spoken about other guests in the restaurant. The two staff members that do deserve recognition are the hostesses. They were always smiling and made an effort to check that we were happy and even made note of our anniversary celebrations. A massive thank you to them. I had a fantastic  time at Solero. Together with my 10 guests we  enjoyed a lot. The  food is so great specially the Paella, the service is super, the crowd is  fun with  acoustic  singer  that plays Spanish song. I would really recommend this restaurant to all my friends. Try it and I am sure  you will like come back again and again. Chef Marco Torres  is  the Head Chef, super nice, excellent chef and very accomodating  A real 5 star  service. Great food, Great ambiance, Great team. All the best from Spain you will find in Salero. Wonderful, thank's a lot ! Lack of staff, long delay in orders. But the rest was awesome. Super yummy food but a little bit salty for me. Heard the place long time back, and first time try with my friends. We all loved the place in terms of food, drink, service and everything. We definitely will be back.